Propagation lights are available in various forms, including single or multiple T5 tube fittings and Compact Florescent Lamps (CFL). 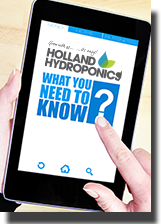 It is recommended to use a dedicated propagation light to begin with as High Intensity Lighting (HID) can be too intense for young seedlings. 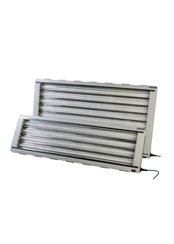 It has never been easier to propagate your favourite young plants, clones or seedlings with these new fantastically low priced T5 Fluorescent lighting units. Secret Jardin TLED 26w strip LED grow lamp powered by Neon LED technology, is ideal for propagation or supplemental lighting and available in blue & red spectrums. Introducing the dedicated CFL Light Kit that includes Reflector, choice of CFL Lamp & Rope Ratchets, an ideal set up for small spaces, propagation and the vegetative stage. Self-ballasting energy-saving Compact Fluorescent Lamps. The Lightwave T5 canopy is perfect for using throughout propagation, giving your plants the essential spectrum of lighting for optimal growth. It can be used with a mixture of red and blue spectrum lamps, or all red/all blue. The PS1 Purple Propagation light is ideal for germinating seeds or rooting cuttings, giving them the light they need to grow at their optimal. It comes with two 24W tubes in fittings, with optional sucker feet for attaching to propagator lids. This CFL lamp hanger is suitable for one single compact fluorescent lamp. It comes with a 4m cable and UK plug, and a standard E40 lamp fitting. You can just plug and play with no fuss - simply screw in your CFL bulb and plug it in!